Remember a few weeks ago when I showed you my nasty, nasty floors, and you judged me for living in what appeared to be squalor, and we kinda stopped being friends? Well, folks, we can be friends again. 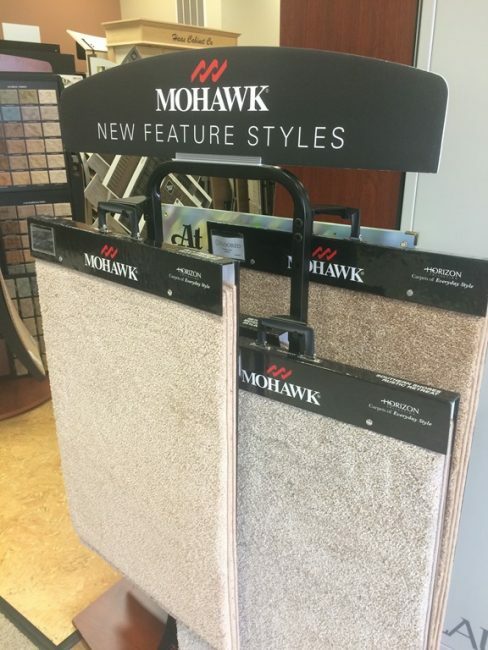 Thanks to Mohawk, whom I met last year at a really fun conference where they were letting us pour giant glasses of wine on their carpet, I am pleased to tell you I went shopping for new flooring. That’s right…the filth is no more. 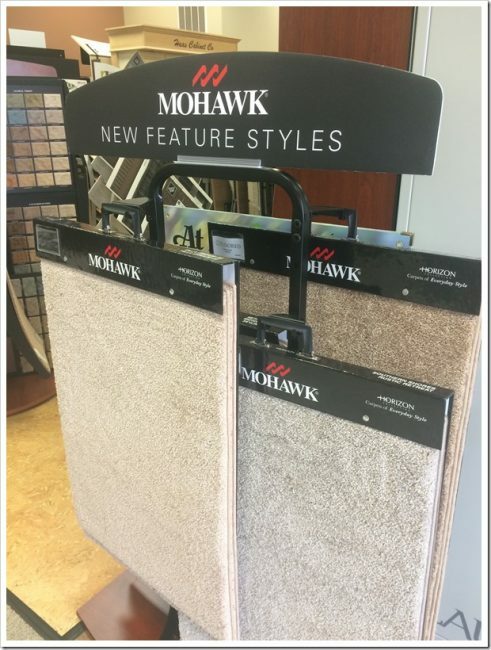 I was put in touch with my local Mohawk retailer, from Floored in Christiansburg, VA. 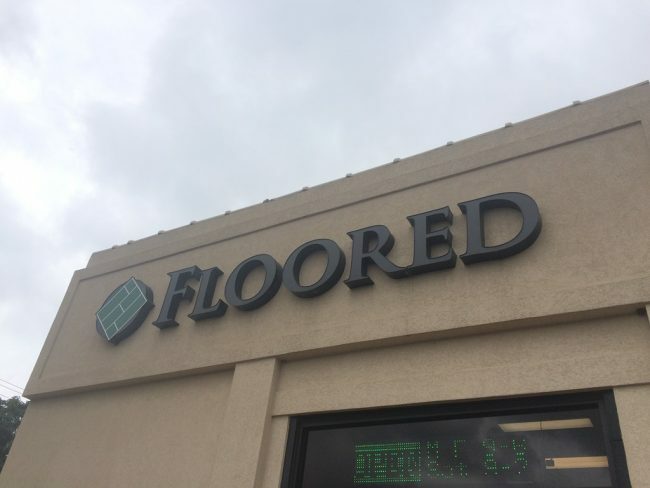 The folks at Floored know their business. Any question you have about a product, they know the answer. They know what you can and can’t do, what you should and shouldn’t do, and how to help you choose what makes the most sense for you and your home. 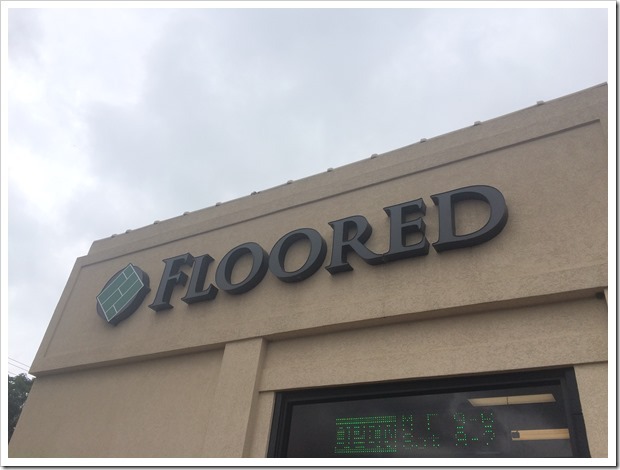 I was given a showroom tour by none other than Jimmie, the owner of Floored, and he was beyond helpful. I walked in not knowing exactly what I wanted, other than a solid floor, such as laminate, in my downstairs, and carpet upstairs. As you may recall, I have 2 indoor dogs, and they really managed to make a mess of the nearly white carpet I had installed 15 years ago…so that was where we started. Carpet. I like to feel the soft and cushy carpet under my toes when I climb out of bed, especially on a cold morning. SO Jimmie showed me a huge variety of available options, from plush to thin pile, from plain and simple to patterned. At first, my conservative, scared of change self gravitated to the light beige, thicker pile carpets. 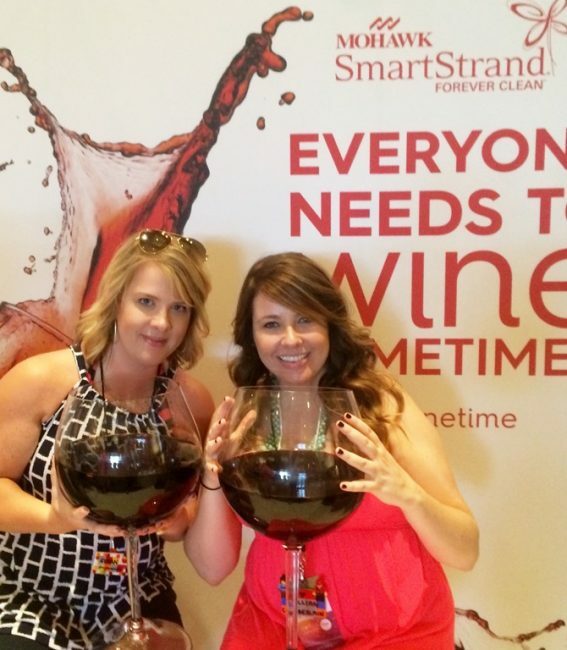 It felt great, had amazing resiliency, and Jimmie explained how Mohawk SmartStrand Forever Clean carpet is completely stain resistant. I felt good about knowing I was making the right choice, no matter what carpet I chose. 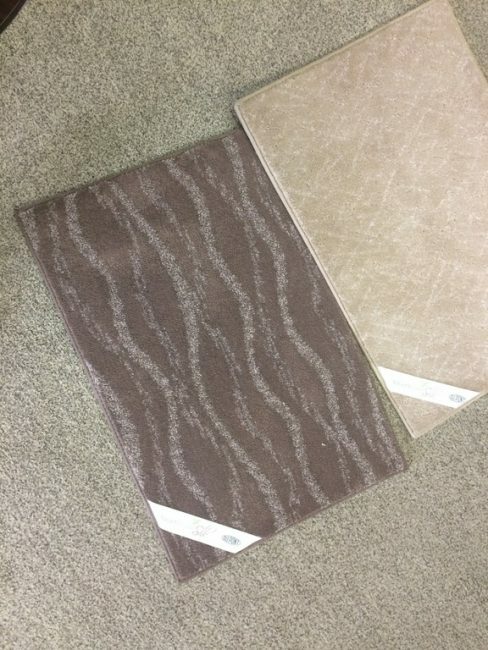 On his showroom floor, after nearly just saying – Go With The Light Beige – I noticed an unusual sample of carpeting that had, for lack of better words, squiggles in it. It was soft, and the pattern was noticeable but not garish. And it was dark brown. There was something about it I really liked, but…dark brown? Squiggles? So Jimmie found me a sample board with several color swatches on it, and advised me to just take it home and give it some thought. We floated around the store, looking at different types of hardwoods and tiles, making notes about the things I tended to like. Rusticity, multi-colored, grains. From there, he pointed me to the Mohawk website, where we both picked out several options we thought I should take a look at. After ordering the samples, I took them home and laid them all out, and seriously lived with them for over a week. It’s hard, y’all! I am so bad at change…but I knew it was time! 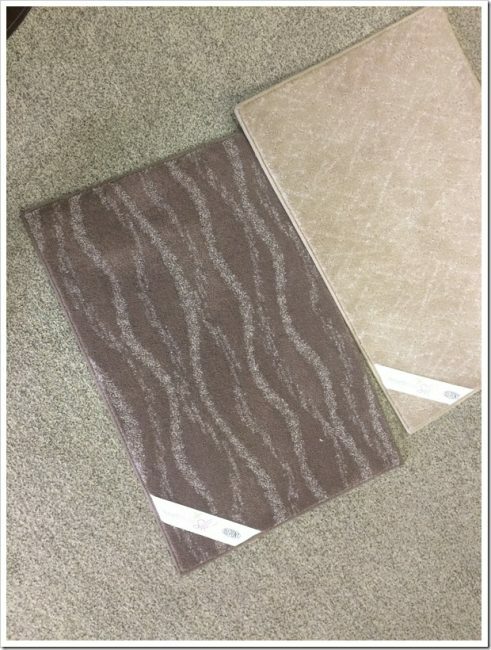 So…I went with this amazing multi-hued laminate, which is perfect with my existing cabinets and walls. It ranges from dark to light woods, and has such gorgeous texture. Laminate floors are very durable and resistant to both staining and fading. It’s great for the scratchy little dog claws, too, as it is so durable. I can’t wait to show you how it looks once it’s installed! Now, as for that carpeting…yeah. I thought that choice, the soooo unlike me choice, would be a tough thing to make. But, as soon as I laid the sample down in my bedroom, I knew. I knew exactly what I wanted. Not light beige…a luxurious grey-brown. Not too dark, and with that swooshing squiggle pattern. It will be in all of the bedrooms, as well as the stairway and landings. Danger! I am changing! So far, the process has been so easy, and dealing with a reputable dealer has made everything so relaxing. I can’t wait to show you the installation and reveal the final look!